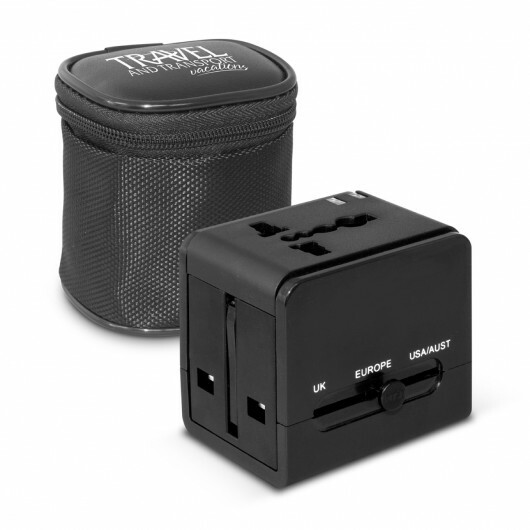 A multi-pin travel adaptor packed in a smart carry case. Packed in a smart carry case, this adaptor features a multiple pin configuration that allows it to work in most countries. Features two USB ports suitable for charging your smart phones and tablets. 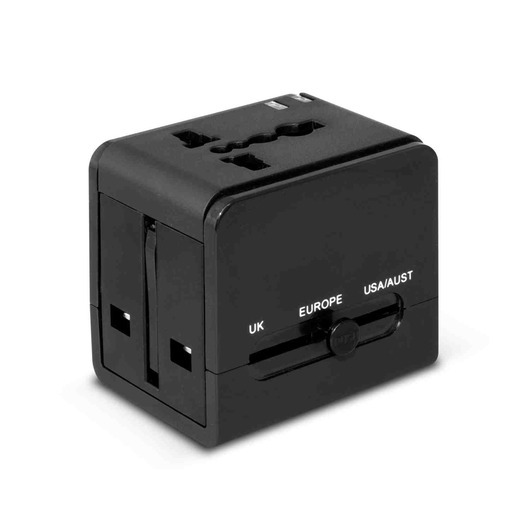 Please note that the adaptor does not covert voltage based on local specifications of the location you are visiting though designed for use outside of New Zealand and Australia. The adaptor is compliant with CE, FCC and RoHS international standard.